How many of the gratuitous attackers of Michael Oren’s new book, “Ally: My Journey Across the American-Israeli Divide,” have actually read the book? My bet is very few. And I would wager that even fewer approached the book with an open mind. What Michael Oren has written is an immensely important book on several levels, including a revealing behind the scenes look at the issues that have been dominating world headlines for the past four years, and a greater understanding of the positions, personalities and interplay of the key players, as well as the enablers of foreign policy. 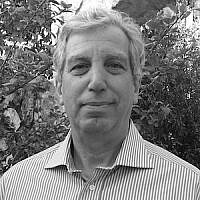 Above all, though, Oren has shown us not only the chasm, the ever yawning chasm, between Israeli and American Jewish worldviews, but also the critical need to find common ground between us, not withstanding the differences. Of course, most of the commentators have focused on the criticism of President Obama. Would that the criticisms had been as thoughtful and nuanced as what Oren actually focuses on! At the end of the day, Oren’s book is a very sobering reminder for us Israelis of some critical realities. The first is that, like it or not, we are very dependent on the United States for a variety of critical needs. One is international validation. While, as Bret Stephens convincingly asserts, America is in retreat, it is nevertheless still the world’s hegemonic power, capable of single-handedly defining certain realities which no other nation can do. In the case of Israel, the US provides diplomatic cover, still important military assistance, and a critical counterweight to de-legitimization. Oren provides examples of these, as well as examples, such as the idea to have Syrian chemical weapons off-loaded to the Russians, where the Israelis helped out the US. There are, to be sure, no shortage of exasperating, insensitive or plain antagonistic acts by the US, rooted in the classic “it’s my ball and bat” ethos of the playground. And to be sure they are problematic for Oren as well. But as the Ambassador that he is supposed to be, and as the lover of both countries that he unabashedly is, Oren does a masterful job of keeping his eye on the ball. And that ever present mission, is to never let differences, however nasty, shake or rend the quasi-spiritual, certainly existential connection between the two nations. This big picture focus, as well as his skills as a historian, enables him to look at the major players, Obama and Netanyahu pre-eminently, and to remind us of another reality. These are not monolithic, monomaniacal monsters, but rather, nuanced, complicated figures. This has led to more attacks of Oren’s engaging in psycho-babble; however,the reality is that, in the case of Obama, Oren did what historians do all the time: he parsed through primary source research, Obama’s own autobiography, in search of clues to his nature and mindset. And what emerges from Oren’s view of Obama is anything but a monolithic negative portrayal, either as a personality, or more importantly, in terms of Israel. Oren sees Obama instinctively embracing the vulnerable, about-to-be-a-victim-Israel, the Israel of the Carmel fire and the seizure of the Israeli Embassy in Cairo. The image that comes through is that Obama’s foreign policy has been lifted from the old TV show Queen for a Day, where the woman with the most pathetic life story wins. The problem of course is with the successful Israel, the going concern nation that has managed to absorb Jews from the four corners of the world, while still adhering to democratic principles, occasionally to the point of self-destructive absurdity. Here, the Palestinians win the pathos prize and stand on much higher sympathetic ground. The sheer silliness of this perspective, given the myriad of interests and compromises that define US foreign policy, make much of what Obama has wrought into a scary scenario of the US losing its bearings, alienating time-honored friendships, for…what? The illusory pursuit of a rapprochement with Iran? The against all reality infatuation with the Muslim Brotherhood? And, ultimately, it is here that Oren ultimately comes into his own. From his vantage as Zionist, Israeli patriot, lover of America, and tireless warrior on behalf of the natural and inevitable connection between the two nations, the threat of Iran looms as existential, and forces all other policy issues and considerations into the background. The first 90% of Oren’s book establishes his bona fides as one who knows and respects America, and knows and cherishes Israel. Those bona fides allow him in the last 10% to sound the alarm on the great issue of the day, one that threatens both nations, as well as much of the rest of the Western world. The focus of the Press on the juicy asides, the speculation as to motivation, and the clear conclusion that, for whatever reason, Obama has put daylight between the US and Israel, miss the point. (Ironically, the funniest – in the sense of black humor – part of the book was about the Press’s bias, prejudice and outright aversion to the facts.). The real point of the book is to remind us all that ours might be bewildering, but it remains an essential alliance; and also that right now that alliance must face up to the reality of the enormous threat of a potentially nuclear Iran. Michael Oren’s book is remarkably informative, clear minded, and, yes, kind. It deserves to become in its own right an important primary research source for Oren’s fellow historians for years to come.